List of Rival casinos with honest review including reputability check of every Rival online casino listed. Rival Gaming was developed by Black Chip Ltd., which is located in Cyprus. Though it was launched in 2006, Rival has already made a name for itself in the online casino industry, largely by quickly creating a number of white-label casinos that rapidly grew in size and popularity. 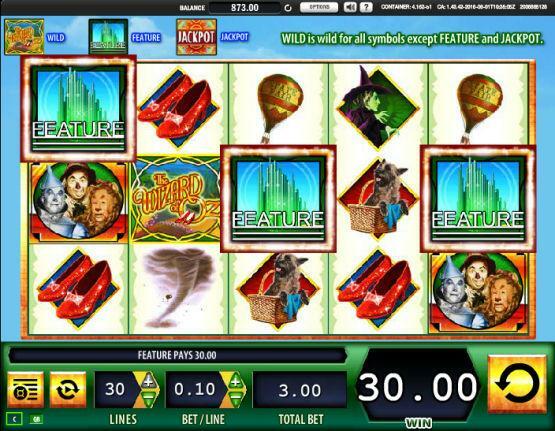 The company was quickly recognized as an innovator because of its i-Slots™, which allow players to track an interactive story-line while playing a standard slots game. Today, Rival Gaming powers some of the most popular online casinos. We consider slot machines to be Rival’s strong point. The company offers a large variety of slot machines to choose from, including 3 reels, multi-line and progressive machines. The software has been designed using AS3, Adobe Flash, Java Script and PHP, which gives the platform much of its flexibility. This full-service platform provides a turnkey solution for online casino owners looking to customize both the front-end and back-office components. The back-office component comes with standard reporting and player tracking options. It also provides a customer service module, targeted marketing capabilities and a ClassAct™ system that allows casino owners to set up custom rules for games. In 2014, the company took a major step by introducing a live chat function, which allows players to interact in the casino games lobby. The gaming results are determined by a random number generator (RNG) and site security is assured by the use of 128-bit SSL data encryption technology. Rival games are available for gamblers in both download and instant-play modes, with additional access provided in the mobile device space. That includes many of the popular operating systems, such as Windows Phone, Android and iOS. On all of the Rival online casinos, the primary focus is on slots. All Rival casinos highlight their i-Slots™. These games not only offer players unusual features, but also a running storyline that develops as they continue to spin. However, live dealer games are missing. Rival casinos offer a wide variety of video poker, scratch cards, keno and table games (roulette, craps, baccarat, Red Dog and blackjack). Rival- powered casinos have an incredibly easy-to-use cashier system. That means promotions available to your account are listed in the cashier, and you simply have to click “Claim this promotion” to have it added to your account. Rival casinos also confound expectations with their high percentage match bonuses and frequent no deposit promotions. Be careful to read the terms and conditions of each promotion before hitting the claim button, though, as even the best Rival casinos tend to have high wagering requirements and maximum cashouts on their larger bonus offers. Rival casinos also offer progressive jackpots, which hand out winnings on a regular basis - you might not always win big, but you will always win often . Examples of their more popular progressive jackpots games are Strike Gold, Major Moolah and Money Magic. All of the websites in our Rival casinos list offer a number of different slots, table games and video poker variants, as well as unique specialty games. From Blackjack to Red Dog to Super Sudoku, there's very little that isn't included in Rival Gaming software. You can try it out for yourself in Rich Casino or Casino Moons. On the other hand, it’s important to remember that on popular gambling portal Askgamblers.com, you can find many online casino using Rival as their only software provider that have been blacklisted for poor communication, unethical business practices, unjustified confiscation of winnings and a variety of other reasons . Among others, there is Tropica Casino or Loco Jungle Casino. We would recommend you read our casino reviews before playing in any of them. Most Rival Gaming casinos accept also players from USA. A few years ago, the company left the American market, but they came back and US players can no enjoy all of their games as before. Rival casinos do not accept players from Canada or the UK. Rival is an online casino software provider that’s been around for over a decade. Today it has more than 50 casino clients and 200 games, some of which are compatible with mobiles and tablets through its mobile suite. Alderney 2 Isle of Man 0 Malta 5 Gibraltar 0 Jersey 0 Kahnawake 0 Panama 1 Curaçao 73 Unknown 0 Belize 1 Costa Rica 0 United Kingdom 4 Austria 0 Canada 0 Antigua and Barbuda 0 Belgium 1 Bosnia and Herzegovina 0 British Virgin Islands 0 Bulgaria 0 Cambodia 0 Comoros 0 Cyprus 1 Czech Republic 0 Denmark 0 Estonia 0 Georgia 0 Ghana 0 Greece 0 Hungary 0 Ireland 0 Italy 0 Kenya 0 Latvia 0 Lithuania 0 Mexico 0 Netherlands Antiles 0 Nigeria 0 Paraguay 0 Peru 0 Philippines 0 Portugal 0 Romania 0 Serbia 0 Slovakia 0 Spain 0 Sweden 2 Aland Islands 0 Schleswig Holstein 0 British Columbia 0 Cagayan Economic Zone 0 Delaware 0 Nevada 0 New Jersey 0 Ontario 0 How we rate Licensing Jurisdictions?